Though there are a number of protections for tenants in the Missouri landlord tenant law, there are also the rights of landlords as well, especially when dealing with tenants that violate the terms of any lease or other agreements. Missouri landlord tenant law contains a number of provisions, many of which pertain to leases, obligations of landlords and tenants and adherence to safety and fire codes. Also, note that there are supplemental federal landlord tenant law regulations, particularly against housing discrimination. Any discrimination based on race, gender, religion, ethnicity or national origins will lead to state, local or federal prosecution. Under Missouri landlord tenant law, the landlord is allowed to collect up to two months’ rent as a security deposit. This security deposit covers the cost of damages done by the tenant to the property and is returned in full if no damages are sustained during the occupancy. The security deposit must be demanded prior to the tenant moving into the property and must be included in the lease. In addition, the tenant is obligated to understand the lease. The tenant has no legal recourse against legal and reasonable provisions of a lease if they do not understand the terms or any of the terms or obligations. 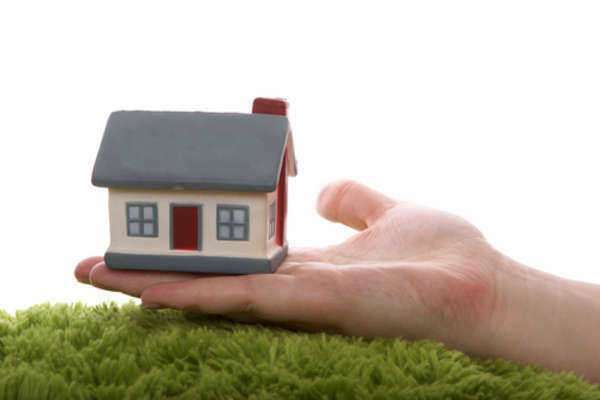 The tenant is obligated to adhere to the terms of the lease or will face eviction. It is in the interest of the tenant to observe existing damages to the property before moving in. If the landlord and tenant agree to a monthly lease, then that lease can be terminated with 30 days’ notice by either party. Aside from the timely payment of rent, the tenant must adhere to fire and safety codes and keep the property in reasonable clean condition. The tenant must dispose of garbage in the proper areas and avoid damage to the property. Any damages will be subject to a reasonable estimate and deduction from a security deposit, as necessary. The landlord has a number of rights available to deal with tenants. Though the access to the property can be restricted while the tenant lives there, with proper notice, the landlord is allowed to enter and the tenant must oblige the request. The landlord may enter for repairs, to showcase the property to other renters near the end of the lease and inspections. The landlord must also oblige requests for repairs within a reasonable interval. The landlord is obligated under Missouri landlord tenant law to provide utilities, as stipulated in the agreement with the tenant. Utilities may not be shut off in retaliation, even if no rent has been paid. This is part of the obligation of the landlord to ensure that the property is habitable. Rent may not be raised during the duration of a lease unless it is a monthly lease and notice is given 30 days in advance. Protections under MO landlord tenant law focus on the ability of the landlord and tenant to formulate comprehensive, binding agreements that delegate the rights and responsibilities of those two parties. There are also a few obligations under Missouri landlord tenant laws that will be implied in any tenancy agreement. A MO landlord tenant law attorney can help you to understand how state law might affect your dispute and may will litigate on your behalf as necessary. Federal and state protections, such as those against discrimination are always in effect. Do I have protection against discrimination under MO landlord tenant law? Those seeking rental accommodations are protected against discrimination in all parts of the process. One cannot be barred from consideration for renting the property due to race, ethnicity, national origin, religion and in many cases, gender. The landlord may not charge different rent or have other provisions for specific residences based on discriminatory standards. Is the landlord allowed to collect a security deposit? Missouri landlord tenant laws allows the landlord to collect a security deposit at the time the tenant moves in only. The security deposit will be no more than two months’ rent and this will have to be returned to the tenant when they vacate the property. The security covers the damages done to the property and is deducted only when those damages are the direct result of actions by the tenant, not defects and other necessary repairs that must be made. The landlord has an obligation under Missouri landlord tenant laws to repair said damage, regardless of fault or actions to ensure a safe and habitable structure. Any terms of a security deposit has to be included in the lease. Does the tenant need to understand the lease when signing? Under Missouri landlord tenant laws the tenant needs to be aware of the terms of the lease and have the unclear provisions explained to them. Unless the terms of the lease are illegal, the tenant will be bound by the provisions they agree to in the lease, under MO landlord tenant law. Failure to follow the legal terms of the lease can provide grounds for eviction under Missouri landlord tenant laws. Note the terms that the lease can be terminated and if notice must be provided. What is the obligation of the landlord in Missouri landlord tenant law? The landlord is obligated under MO landlord tenant law to ensure that the property is safe and habitable and by extension, compliance with building and fire codes. The absence of this will mean that the tenant can sue to set the conditions right, under Missouri landlord tenant laws. The landlord will give the tenant reasonable time to pay their rent according to the binding lease. Do I have to let my landlord inspect the property under MO landlord tenant law? The landlord has the right Missouri landlord tenant laws to inspect the property and have reasonable access when requested. This request must be made at least three days in advance to give the tenant time to accommodate it. MO landlord tenant law gives the landlord the right to access for the purposes of making repairs, looking for damage and otherwise maintaining the property.